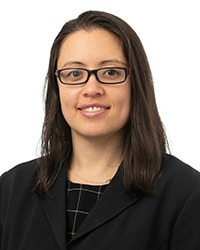 Dr. Salena Ward is an Oesophago-Gastric, Bariatric and General Surgeon who consults in Box Hill, Bundoora and Lilydale. She can perform general abdominal operations but has had specialised training and experience with surgery particularly of the stomach and the oesophagus. She has a specific interest in investigation and treatment of patients with cancer of the stomach and oesophagus. She believes in a thorough consultation about your particular condition and situation in order to provide the best treatment.